BRUSSELS -- Investigators searching an apartment in Brussels uncovered the fingerprint of a fugitive in the Nov. 13 Paris attacks, as well as possible suicide belts and traces of the same kind of explosives used in the bombings that night, the federal prosecutor's office said Friday. The third-floor apartment in the Schaerbeek neighborhood of Brussels was searched Dec. 10, the statement said. It had been rented under a false identity that may have been used by one of the 10 people arrested in Belgium in connection with the attacks that killed 130 and injured hundreds. The fingerprint belonged to Salah Abdeslam, whose brother was among the suicide bombers and who has been on the run since the attacks. The prosecutor's office said the three handmade belts discovered in the search at Rue Berge in Schaerbeek "could have been intended for the transport of explosives." Traces of the highly volatile TATP, which was packed into the suicide vests in November, as well as other material that could be used to manufacture explosives were also detected. Salah Abdeslam is believed to have played a key logistical role in the attacks, but called two friends in Brussels that night to pick him up. A French gendarme stopped their car near the border but released the men. His two friends are among those under arrest. The Nov. 13 attacks marked the height of a violent year for France that began with the Jan. 7 assault on the offices of the Charlie Hebdo newspaper. Paris was again jolted on Thursday when a man wearing a fake explosives vest and wielding a butcher's knife ran up to a police station and was shot to death by officers standing guard. The Paris prosecutor, Francois Molins, said investigators are unsure of the man's true identity. Molins told France-Inter radio Friday that the assailant carried a paper marked with the Muslim declaration of faith, an emblem of the Islamic State group and his name, and gave his nationality as Tunisian. Molins said he also had a phone with a German SIM card. Stopped for a minor theft in 2013 in France's south, the man had identified himself as Ali Sallah and gave his nationality as Moroccan. 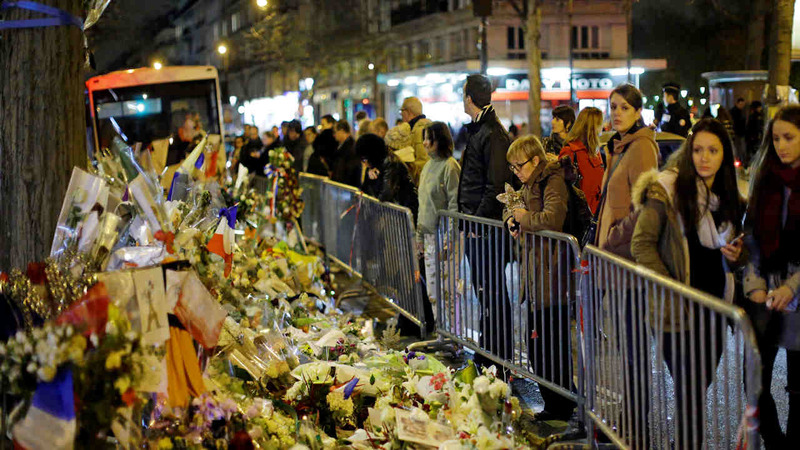 Islamic State extremists have claimed responsibility for the January 2015 attacks and the Nov. 13 attacks in Paris.